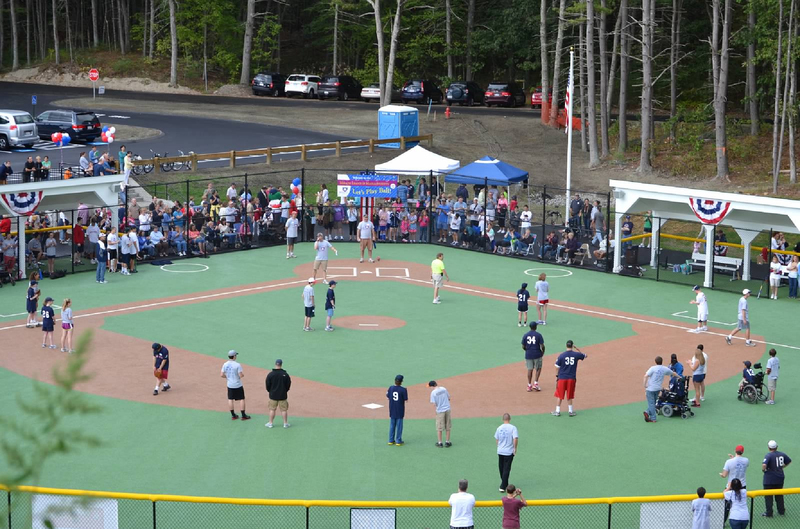 The Joseph Lalli Miracle Field opened in September 2012 and is located at 75 Quarry Road in NARA Park in Acton, MA. It has a completely rubberized surface that allows for safe and easy mobility for all. There are no raised surfaces to interfere with wheelchairs, walkers or crutches. In addition, the field is completely enclosed by a fence which provides a safe environment for those players who tend to wander or have no sense of danger. 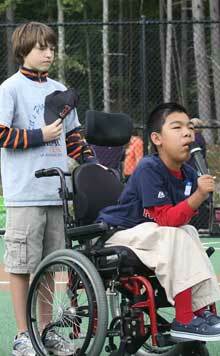 The Joseph Lalli Miracle Field is equipped with covered dugouts, water fountains, and a public address system. A player drop-off area is available for easy access to the field. Phase II of our field project includes the addition of an accessible familyrestroom at the park. The address for the field is 75 Quarry Road in Acton which is on the far side of NARA Park. Acton is located in the Metrowest suburbs of Boston. We are 25 miles northwest of Boston and 35 miles northeast of Worcester. Click here to see a map.